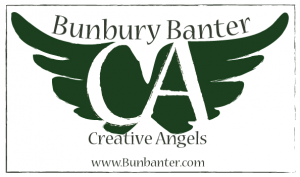 The award-winning Bunbury Banter Theatre Company opened a base in Dumfries & Galloway in 2014 and in 2015, they opened Bunbanter’s Scottish Young Theatre Groups; to benefit the young people of Mid and Upper Nithsdale. 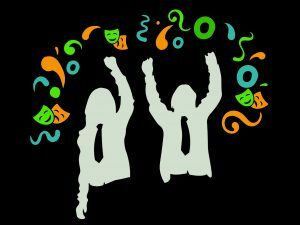 Our drama classes are split into two age groups and meet weekly during term time, from 4.30pm, in Thornhill Community Centre (DG3 5LH). No previous theatre experience is necessary to participate in either group, just a willingness to have a go! Like all of their classes, the SYTG looks to develop student’s confidence, creativity and imagination performance skills and improve their self-esteem, literacy, social skills plus numerous other benefits. Have you ever wanted to learn how to throw a punch like your favourite movie star or jump in on some of those fight scenes on stage? Well, now is your chance! Join Raymond as he introduces the group to the excitements of Stage Combat! This workshop gives participants an insight on how to safely build a staged fight. Beginning with the fundamentals of unarmed stage fighting safety and then moving on to stage slaps, punches, kicks and beyond. Maybe it’s a scratch, a bite or a knee somewhere or do you fancy a hair pull, a strangle or a neck break – the choice is yours !!! Open to students of the SYTG, plus local P7’s and upwards. Workshop took place at Carronbridge Community Hall. Transport and Financial assistance available. 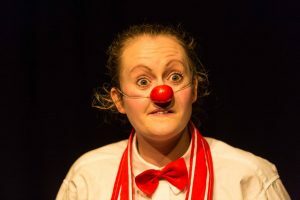 A workshop exploring clown techniques of self and group awareness, comedic timing, embracing failure and the joy of being simple. 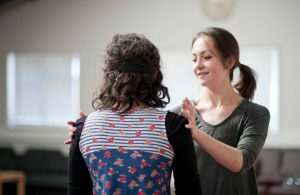 The workshop will use practical techniques to allow the performer to find a natural state of play and discovery with focus on comedic timing, devising comedy sketches and the art of making people laugh. Rachel makes wildly entertaining interdisciplinary performances about the absurdities of modern existence with her company Gracefool Collective. In this session, we’ll play with movement, theatre and comedy to make fast paced sketches and scenarios in collaboration with others. We’ll figure out how we can use our bodies to devise simple images that audiences can recognise from their own lives, full of humour, cheekiness and fun. Cabaret is an exciting and diverse art form, often blending storytelling, music, audience interaction and, most importantly, your individuality! 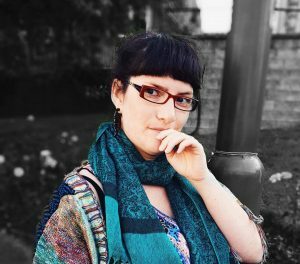 Join performer and producer, Vikki Doig, to find your inner cabaret artiste and re-imagine your favourite song lyrics in twisted and unexpected ways! No experience necessary, just a willingness to have a laugh and try something new. Feather boas not required. 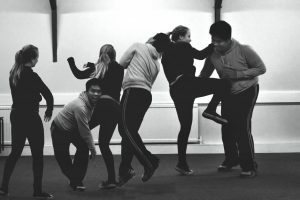 We begin the year with some really fun drama games and exercises focusing on confidence & skills building, developing best working practice, and focusing on the group’s ensemble work, technique and discipline. In term two, we begin creating, developing and rehearsing their piece for the Christmas showing (usually held on the final day of term); which is collaboratively conceived with the students. The annual Media Project starts – focusing on theatre skills away from the stage; we begin by deciding the medium (film or radio, for example) and then generating and developing ideas with the students. The students then rehearse and also learn the technical process to record/produce it. Everyone has the chance to both perform and crew. We start the final term with completing the Media Project, and then return to the disciplined and focused technique work begun at the start of the year, but now with new knowledge, improved skills and further experience. In the second half of term, a block of weeks will be focused on either a play or particular style of theatre, encouraging the group to develop their own tastes and knowledge. At the end of the last session of the year we hold an ‘Open Evening’ which is almost like a celebration of the end of year with parents arriving, games and project-led videos, nibbles and sometimes even a mini performance. It also often involves sharing (the premier) of their Media Project and with their work from the year, displayed on the walls. This also offers prospective students (and their parents) the opportunity to come, meet and chat with us all. Our students participate in an annual media class project, which have so far included: filmed commercials and radio plays. 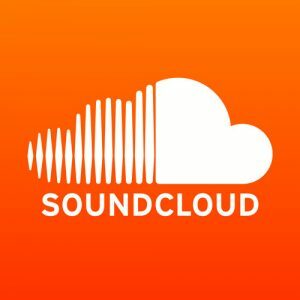 To interact with the audio work our groups have completed to date please visit our SoundCloud page. 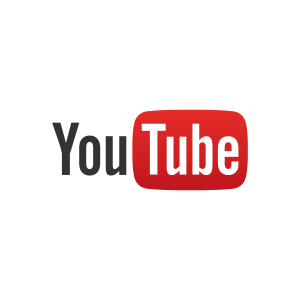 Also to watch the videos please subscribe to our YouTube channel, and go to the Scottish Young Theatre Groups Playlist.